Browse the best offers our deal hunting editors could dig up this Wednesday and start planning your getaway for next year, or even this one if you still have a few days off. You should start with checking the 5 nights all-inclusive trip to Cancun for just $499 per person and grab this budget friendly beach vacation as soon as you can, you have got 7 days left to book. But you can also choose one of the other travel deals we have here. You can get discounted domestic flights to several major cities from $69 one way, 4 nights escape at Hilton Puerto Vallarta Resort for $709 per person, flights to 7 big cites in Australia on sale from $1,045 r/t and more. Hurry up now, the best deals are always gone first! If you purchase the Cancun vacation package from the top, for the $499 per person rate you will get a flight from Fort Lauderdale to Cancun and back, 5 nights stay at the Oasis Cancun Lite all inclusive resort and taxes. Oasis Cancun Lite has a nice private beach, as many as 7 restaurants and 7 bars, tennis courts, a fitness center, pools, free parking, some great spa services and lots of other things to do for the whole family all day. 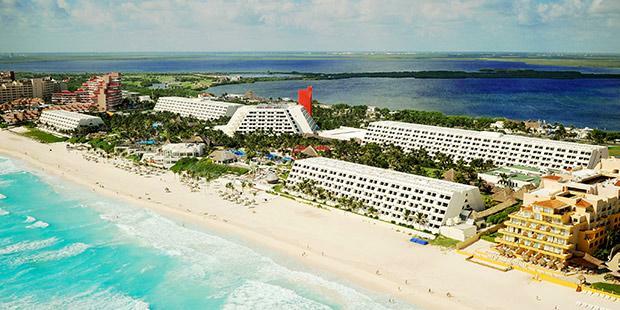 Check a few of the travel sites from the box, just to see if you can find even better value Cancun vacation packages. The more you compare the better your chances are!